Wake up and rebalance your skin with this refreshing cooling, non irritating gel cleanser. 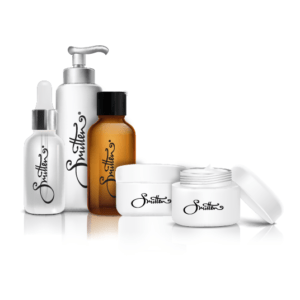 Smitten’s cleanser is enriched with aloe vera to effectively penetrate the skin, supplying moisture directly to the tissue, thus regulating the balance of moisture. 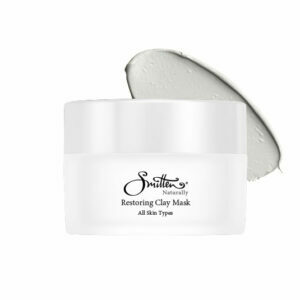 It’s balancing blend of ingredients assists in removing excess oil build up, stimulates the circulation and help renew open pores and unevenly textured skin. It puries the skin leaving it feeling cleansed, soft and soothed. Directions: Using fingertips, gently massage cleanser over face, eyes and neck area in circular motions. Rinse well. 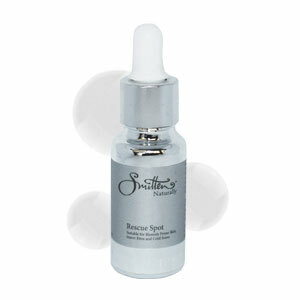 Follow with Smitten Rebalancing Toner and moisturizer or serum Use morning and night.